Schuyler Cammann., Harvard Journal of Asian Studies [vol 8] , 'The Development of the Mandarin Square', United States of America, 1944. Schuyler V.R Cammann., Arts of Asia , 'Other Mandarin Squares: Korean, Annamese and Unfamiliar Examples', Hong Kong, Mar 1992-Apr 1992. 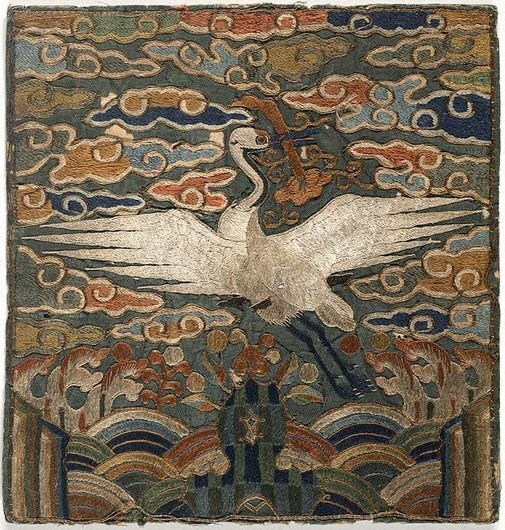 Young Y.Chung., Arts of Pacific Asia Show, New York , 'Hyungbae: Rank Badges of Korea', New York, 1988. The art of oriental embroidery: history, aesthetics and techniques , London, 1980.